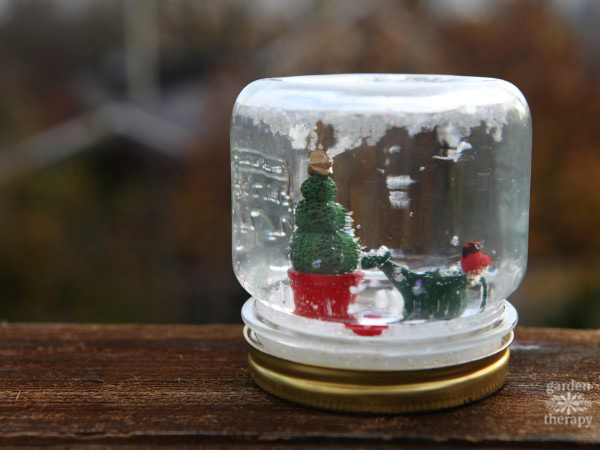 Is there any more quintessential winter object than a snow globe? There is something about these tiny snow-covered winterscapes that fills us with a sense of nostalgia and wonder. 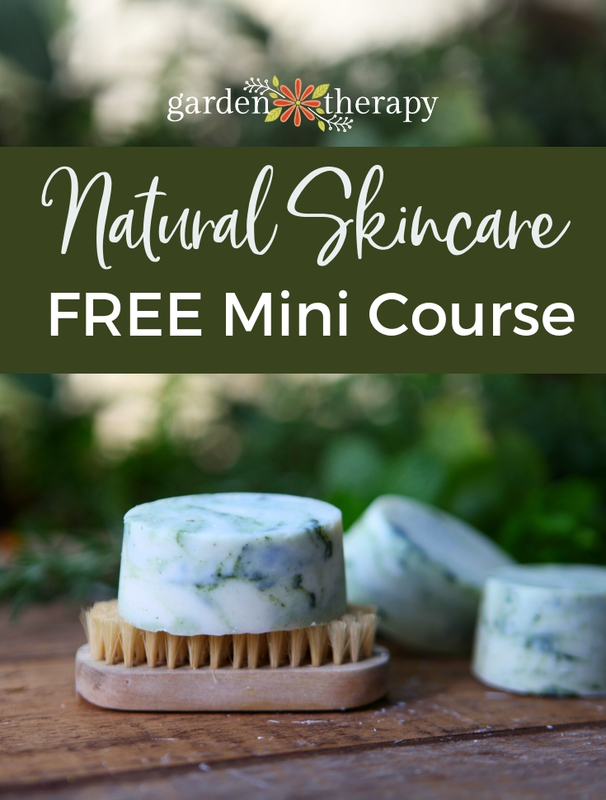 Making your own is easy and fun, and all you need are a few simple materials that you may already have around the house. 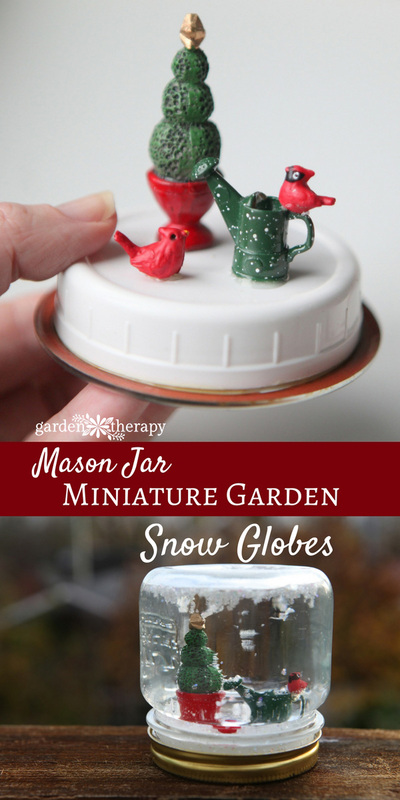 This project is fun for kids and adults to make and having your very own personalized snow globe feels magical no matter what your age. 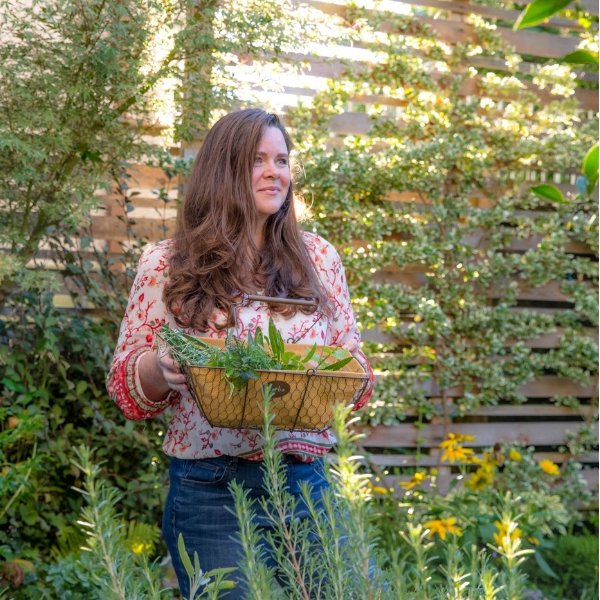 First, choose the objects you want to use and try setting them up different ways until you get the scene you want. 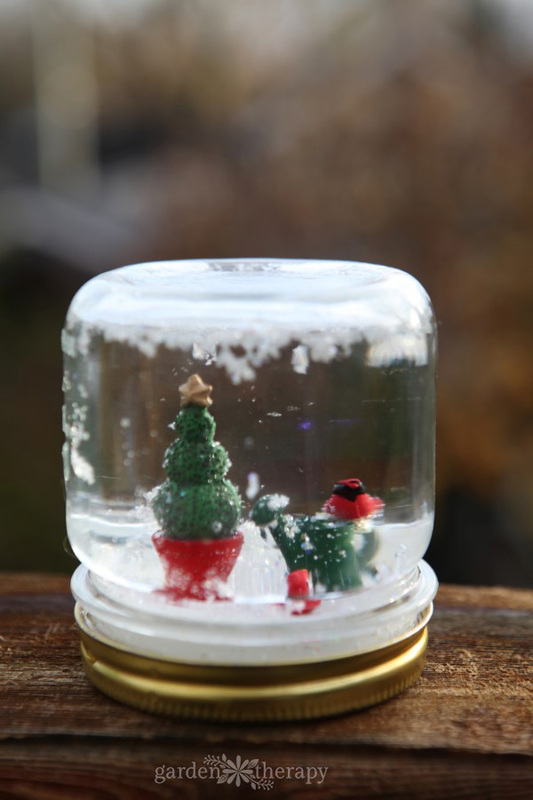 Try holiday or winter themed items or objects in red and green for a Christmassy snow globe. Or do something wild and unexpected, like a tropical scene. It’s completely up to you! 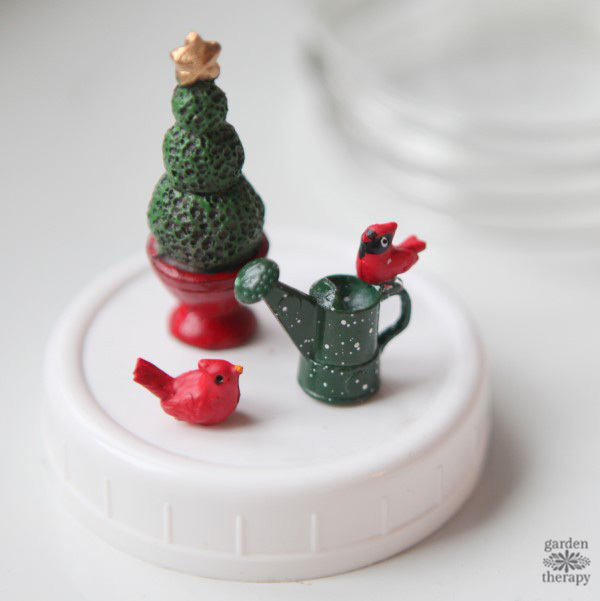 I chose garden-related objects with a holiday theme. 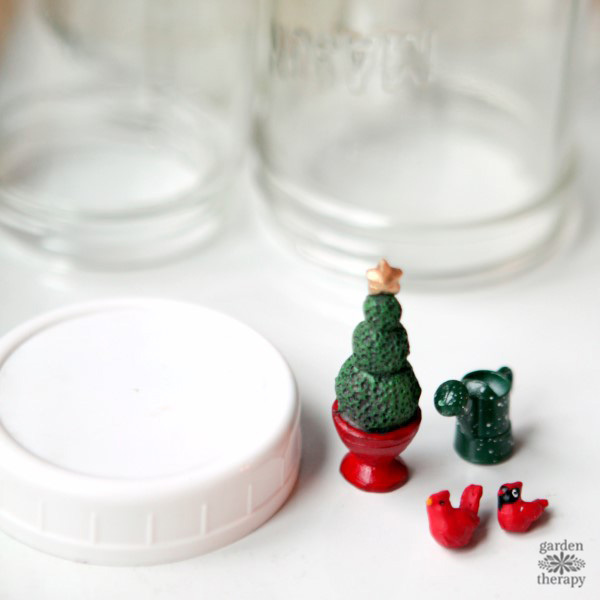 Position your objects on top of the plastic canning lid the way you want them to be laid out inside the snow globe. Keep your scene small enough that everything fits easily on the center of the lid. 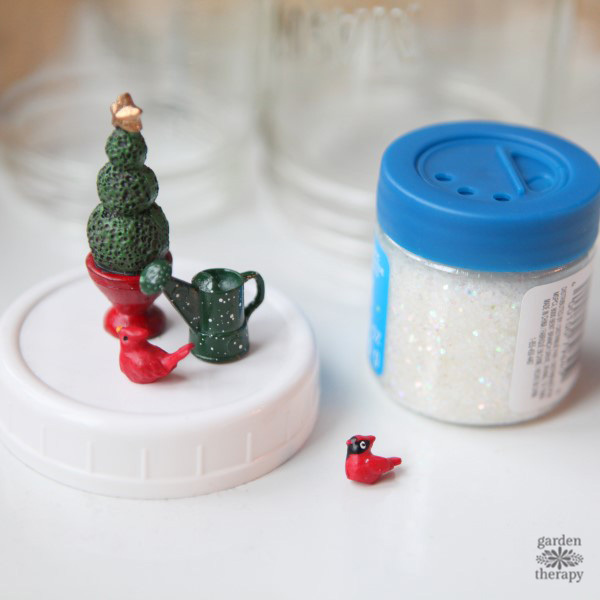 The glass of the Mason jar will magnify the scene, making the snow globe look fuller once it is all put together. Use the waterproof adhesive to glue down the objects in the positions you want them in. Allow the adhesive to dry for a few hours to make sure it is completely set. Glue the plastic lid down onto the underside of the snap lid, making sure not to get any adhesive on the orange ring around the outside edge of the lid. The orange ring is the seal, which will not work to keep liquid inside if it gets glue on it. Some waterproof adhesive expands when it dries, so keep that in mind and give yourself some extra room around the snap lid’s seal. 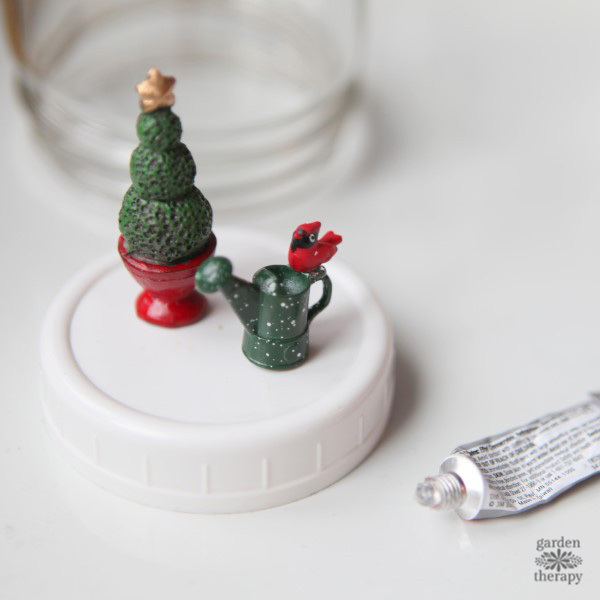 Fill the jar with water, glycerin, and some glitter. 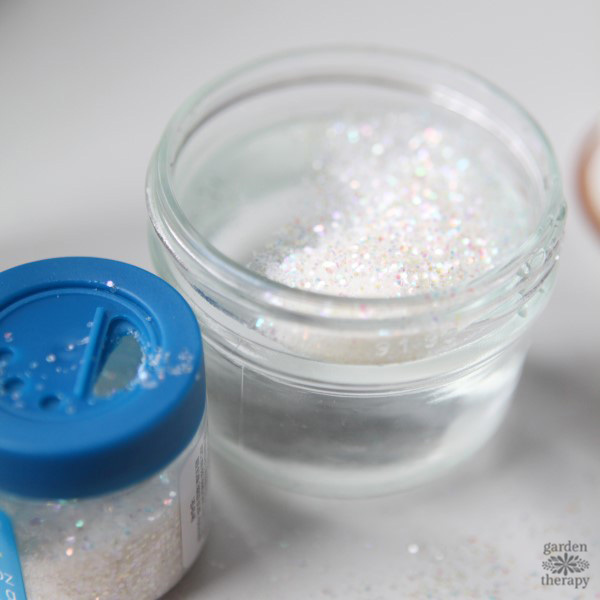 The consistency of the mixture will be different depending on how much glycerin you add (the glycerin makes it thicker so that the glitter falls slower), so start with mostly water and add glycerin gradually until you like how the liquid moves the glitter when you shake it up. I used fairly small glitter, but not superfine. It clumped together a bit, which made it look more like snow. Now it’s time to put the snow globe together! Add a bit more water to the jar so that it is very full. You’ll want to do this next step over the sink as there will likely be some spillover. 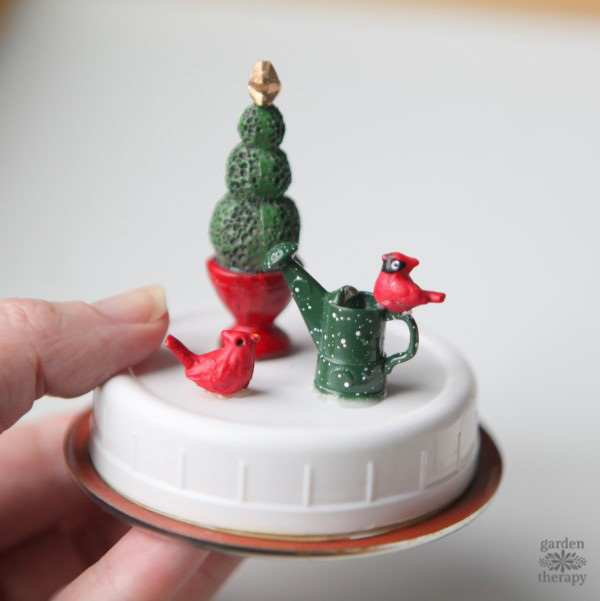 Carefully screw the lid onto the jar so that the miniature scene stands up inside it. If your jar has writing or patterning on one side, try to position the scene so that it faces the part of the jar that is completely clear and smooth to give you the best possible view. Wipe off any liquid that spilled over the sides, seal the lid with waterproof sealer so that the ring stays in place permanently. 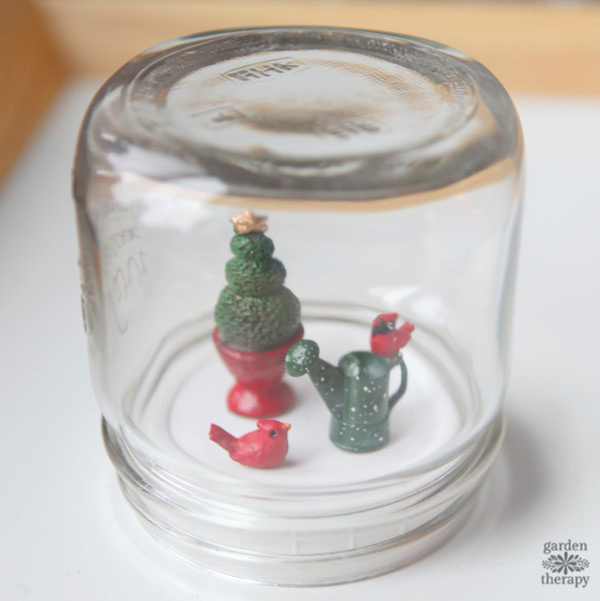 Turn the jar upside down, and you have a whimsical snow globe ready to set somewhere in your home or give as a gift. This is a great gift idea, Stephanie! Kids will also like helping with this project, I think. My wife and I made snowman snowglobes one winter for my daughter’s playgroup, using the ready-to-use formula bottles that we collected from when my daughter was a baby. We used styrofoam balls for the body, small beads for the eyes and mouth and a cutoff toothpick for the carrot nose. And a scrap piece of felt for the scarf. They turned out great and everyone we gave them to loved them!